For the eighth consecutive year, Tarvin Community Woodland in Cheshire is one of the best run green spaces in the country. On July 18th 2017 we received the Community Award, a sign that the site is a well managed and welcoming place, central to the local community. A high-quality green space in Cheshire West and Chester. Keep Britain Tidy reveals the region’s parks and green spaces that have achieved the Green Flag Award, the mark of a quality park or green space. Tarvin Community Woodland is owned by the community and extends for about 1.5 km along the A51, Tarvin south-western bypass. It was unique as the first example of using surplus Highways Agency land for community benefit and has recently been extended by a woodland strip that was created in conjunction with local planners and Taylor Wimpey when a new housing estate was built. It is funded by an annual grant from Tarvin Parish Council and its own fund-raising activities.€� It is a nationally recognised case-study of what can be achieved when competent and committed members of the community take over unused public assets; see the government booklet “Community led spaces”. 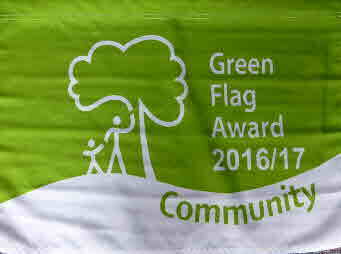 "We are absolutely delighted to receive a Green Flag Award for the eighth year. 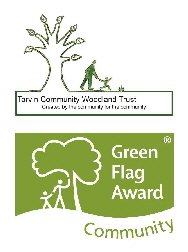 As well as verifying that we are doing the correct things well we are grateful for the Green Flag guidance on what could be done to improve further Tarvin Woodland and for their suggested new initiatives for us to consider when planning for next year. The Green Flag Awards Scheme is run by the environmental charity Keep Britain Tidy, under licence from the Department of Communities and Local Government, in partnership with Keep Scotland Beautiful, Keep Wales Tidy and Keep Northern Ireland Beautiful, the Federation of City Farms and Community Gardens and the National Housing Federation.